Debt collection agencies are having a tough go these days. Seems as though one of their primary avenues of revenue isn’t exactly bringing in the dollars. Up until around 2010, credit card collections made up the lion’s share of many collection efforts. Now, though, that source has been cut significantly. The reasons might surprise you, too. In the months between 2005 and 2008, credit card collection accounts totaled more than $200 billion in the U.S. The recession was knocking at the door and many banks and credit card networks were beginning to write massive amounts of debt off. Enter the debt collection industry. In 2010, there was $100 billion charged off in credit cards alone. Suddenly, collection agencies were brimming with accounts. Even though the mortgage sector was falling fast, too, many of those ended up in foreclosure, which introduced an entirely new set of considerations and staying within federal law was challenging; it was easier to pursue revolving accounts. Then, those accounts began tapering off too. Banks and credit card companies were tightening their approval reins. Suddenly, credit card delinquencies hit an 18 year low – not because consumers were flush with cash – it was the recession, after all – but rather because there weren’t any new accounts being opened to go into any kind of delinquency status. Before long, there was a new focus and one that doesn’t bode well with the industry. With the Consumer Financial Protection Bureau kicking into high gear and talk that it would soon be overhauling the way debt collectors pursue their accounts, it would appear the winds of change are kicking in – and indeed they are. Not only that, but more delinquent accounts are landing in courtrooms instead of collectors’ desks. There are layoffs happening in this sector, even as it would seem as though the industry as a whole should be growing. Despite the end of the recession, there are still millions of Americans struggling to pay bills. The industry has had to re-prioritize and they’re now focusing on student loans. The CFPB says there is more than $1 trillion in outstanding student loan debt. It’s now second only to mortgages in terms of debt that Americans are carrying. Nearly $865 billion of that one trillion is in federal loans with the remaining accounting for private loans. The interesting aspect is that student loan debt is now at levels of credit card debt just before the recession kicked in. Needless to say, the industry is turning its focus towards student loans. With more college students taking out multiple loans, the entire quagmire could be profitable for collectors. Not only that, but because so many Americans are no longer turning to second mortgages and other ways to cover the costs associated with sending their kids to college, it’s for the most part all being funneled into sure-enough student loan dynamics – which makes it much easier for these agencies to hone in on their efforts – sort of a “one size fits all’ mentality. Graduating college seniors are facing a tough job market, but their student loans are still coming due. With no way to pay them, these debt collectors are becoming overwhelming for many who feel trapped. Meanwhile, late fees and interest continues to grow those unpaid balances. Then there are those who may have graduated years ago, and who were making their payments, but who also found themselves out of a job – they too are facing the same problems: no way to pay for their student loans. Many are seeing their balances grow, too. Some may have seen their balances grow to what they were years ago, effectively making their on-time payments moot in the years since. Not only is the Department of Education (which has 22 collection agencies contracted), turning to these collectors, but there are also banks and even colleges who are partnering with these companies to collect unpaid debt. Many college students and their families are shielding collection calls and threats from a number of companies. Medical collections have long since been profitable for collection companies. According to one recent study, medical debt collections at one time made up half of the profits of the sector as a whole. Medical debt is usually the last priority for families who have more due than what they have coming in. In 2010, “uncompensated care” which is care extended a patient by hospitals who has no insurance and who does not pay for services at the time of treatment grew to almost $40 billion – that’s a huge opportunity for collection agencies. Doctors, dentists and emergency clinics also turn over billions of uncollected debt every year, too. Often, it’s these debts that are sold to smaller collection agencies, giving them an opportunity to grow in their own communities. 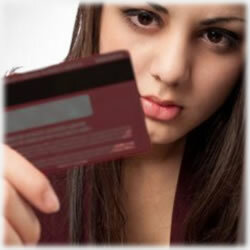 Will the credit card sector brighten once again for debt collectors? Undoubtedly. For now though, and until and unless new regulations are put into place, the collection industry is content with chasing after consumers who owe medical bills and student loans. There will always be controversy surrounding the ethics of the industry as a whole, which is the main reason CFPB is stepping in. If the past performance of the relatively new government watchdog is any indication, this aspect of the financial sector will soon find itself adjusting yet again in an effort to keep up with the changing climate. And, if CFPB has its way, those efforts will begin soon. The irony is the bureau has started at the ground level with both student loans and credit cards – it’s sought to change the way the credit is issued and the role the lenders have in ensuring consumers know what they’re getting. Now that those changes are beginning to occur, it’s a natural transition to go into the way efforts are made to collect any unpaid balances. So what are your thoughts? Are aggressive debt collectors a necessary evil or is too much for consumers who are struggling to cover the bases the best way they can? Share your thoughts with us.